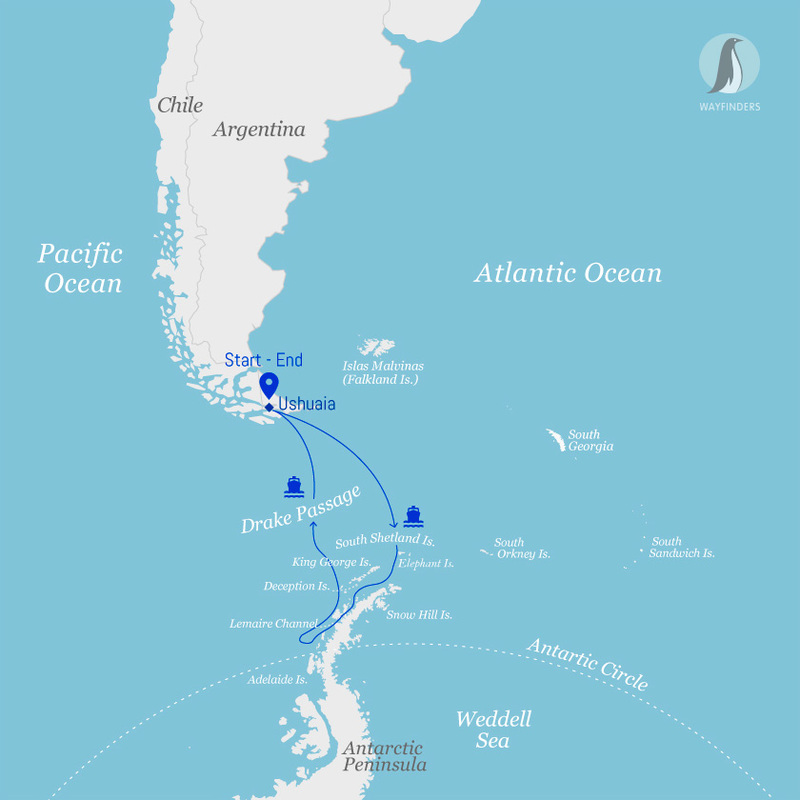 The adventure begins with an 800km (497mi) crossing of the passage named in honour of the 16th-century English sea captain and privateer, Sir Francis Drake. Take in daily lectures from the expedition team and keep an eye out for the first sightings of icebergs, whales and albatross following in the G Expedition’s wake. Experience some of the most unique wildlife viewing and inspiring scenery in the world while setting foot on the Antarctic continent. 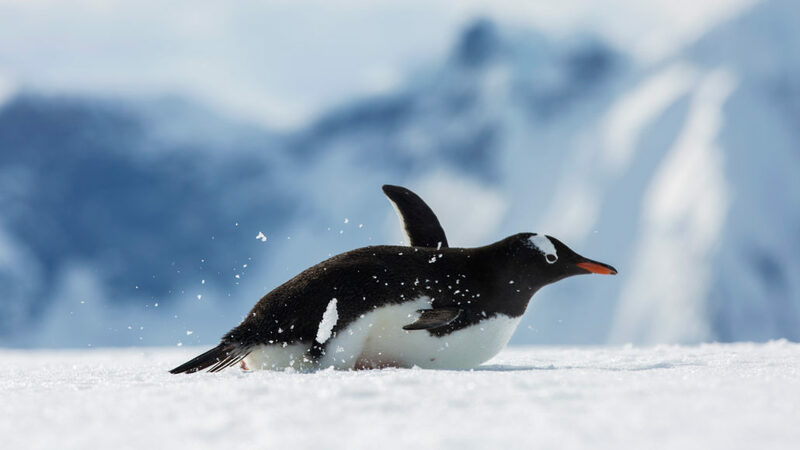 Attempt two shore landings per day (weather permitting) and encounter Gentoo, Chinstrap and Adélie penguin rookeries, Weddell, crabeater and leopard seals, and orca, humpback and minke whales in the cold Antarctic waters. During the voyage, learn about the peninsula’s remarkable history. This is what we’ve all been waiting for – a chance to explore step foot on the Great White Continent! Over the next 4 days the Expedition will navigate southwards making stops in the South Shetland Islands then through the Bransfield Strait and to the Antarctic Peninsula.